The more stressed, scared and frustrated we are, the more tempting it is to engage in controlling behavior with our children. We want things to go our way and we want it NOW! As such, there's nothing odd or strange about that! Using our power to tighten our control with the world is a natural way that we humans deal with stressful situations. When we feel things are getting out of hand, we try to control even more! Being controlling with your children may get you what you want SHORT term. For instance you may want instant obedience, compliance and what you understand as respect. However, being controlling with your children may not get you what actually want for your children LONG term. Insights into the essence of controlling behavior and its potential long term consequences for children! An existential analysis of different types of 'power' behavior parents may resort to - such as threats, punishments and manipulation! An in-depth psychological understanding the concept of control and WHY it is so darn tempting to control our children! Controlling Behavior Is a Misuse of Power to Make Other People Fulfill OUR Needs! Briefly put, controlling behavior is a manifestation of superior power vis-à-vis less superior power. In other words, it's is a demonstration of power used against someone who has less power in that particular area. But what's the point? 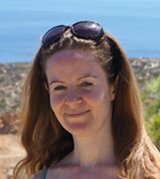 Why do some people become controlling parents who use their 'bigger' power against their children who have 'less' power? Well, paradoxically, the use power on other people is a direct response to an inner state of powerlessness. When we as parents resort to controlling our children, it's basically a defence mechanism. It's a sign that we have difficulty coping with that which is and that we need other people to behave in a certain manner in order for us to have our needs fulfilled: "I control you because, I need you to behave in a certain way because I need to feel good!" So basically (and provocatively put) controlling parents use their 'weaker' children to fulfill their own needs. The Needs Behind Controlling Parents! The needs controlling parents may have can be quite basic, for instance the need for order, peace of mind, predictability, external recognition etc. Many of these needs will have their origin in childhood experiences. For instance, if a child learnt that his father only paid attention to him when he came home with good grades or was number one on the swim team, it is likely that as an adult this child will have equated love with accomplishments. This belief that admiration is a way to get love, may lead to an adult mindset focussed on external recognition. If we explore needs further on a more abstract level, many parents also have a need for their children to help them uphold their rather rigid belief system or mainstream values. Therefore, in the best of meaning, many parents end up controlling their children so their children may live up to their goals of e.g. standardized behavior, cultural notion of politeness, ideas of maturity, emotional suppression etc. In essence, these parents are cultural puppets (sorry about the rather unflattering expression) that force their unique child to fit the mainstream glove of society by expecting them to behave according to society's more or less mal-functioning ideas and values. An Analysis of Different Types Controlling Behavior and Their Consequences! - Threats, Punishments and Manipulation! Actually there are many more types of controlling behavior, but threats, punishments and manipulation are the top categories. As you may gather, some types of 'power' behavior are very easy to spot because of their obvious domineering nature while other forms are more difficult to pinpoint as they are more subtle and manipulative. In this context, a threat is a verbal statement mediating the happening of future negative outcomes if someone doesn't go through with a certain action. Or in other words, a threat is a statement that forces people to do something (they wouldn't normally do) or else they would experience some kind of loss or harm. "If you don't behave, I will leave!" 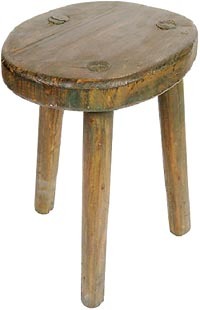 or in another version "If you do not do as I say, you will have to go sit on the stool all alone (time-out)!" Recognize some of these statements? As such they do seem quite harmless. There's no direct threat of physical punishment or forceful parental intervention. Quite opposite of intervention, in fact: The threat here is of abandonment, which to a child may be just as frightening ... or even more! So what's happening is that the parents are using their children's need for parental love as a tool to control and change their behavior. To children the threat of time-out is thus a threat of love withdrawal as the parents threaten with separation and isolation. As you may already know, time-out is quite a popular discipline technique used by many parents and recommended by many parenting experts (e.g. you may have seen it in the popular TV reality series Nanny 911). But even though time-out may create desirable results short term, research studies on time-out have shown that time-out has unfortunate consequences for children long term. In fact, researchers have found that timeout and love withdrawal may actually be more emotionally devastating for children than physical punishments. Well, time out is a form of punishment that is supposed to make children reflect about their bad behavior so they will change it for the better. However, how likely is it that the child can distinguish between a punishment for bad behavior vs. a punishment for being a bad person. Unlikely! So what time-out does is making children feel bad about themselves, bad about who they are! 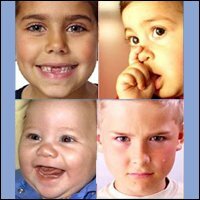 So even though many parents might find this discipline technique effective (or not), using love (or more correctly, the lack of it) as a weapon in itself may be highly detrimental to a child's self esteem. To a child time-out may translate as: "I'm unacceptable and showing my angry self (my emotions) will get me punished, I'm loved when I'm good and I'm not loved when I show that I'm angry, frustrated or confused!" 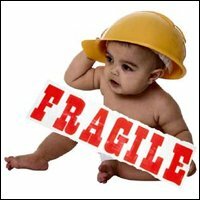 The child comes to believe that only the happy part of his or her personality is acceptable and loveable and therefore the child may end up hiding and suppressing emotions as they make him or her believe that he or she is unloved when showing them! Thus the child believes that only a part of him is loved whereas another part of him doesn't deserve it. This belief of only partial acceptance may result in deep psychological insecurity. Thus a consequence of love withdrawal may be distress and anxiety as the child may comes to believe that their parents' love is conditional - meaning dependent on how they behave, as distinct from being unconditional which is not dependent their behavior, accomplishments and successes. "If you don't do as I say, Mommy will smack your bottom!" Physical punishment of children is still legal in many countries. In Denmark where I live, however, parents (as well as teachers) are banned by law from physically spanking their children. Several new studies have also come to the conclusion that spanking may have long term detrimental effects on children and their behavioral, psychological and mental development. These studies show that children who are being physically punished are more prone to adopt aggressive behavior themselves and may later tend to engage in abusive behavior with their own children. 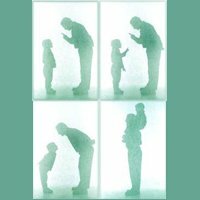 Thus controlling behavior via physical means seems to have an ability to be passed on from one generation to the next. Many people, including one the most famous child experts of all times, the well-respected birthmother of the 3 parenting styles: authoritative parenting, authoritarian parenting and permissive parenting, Diana Baumrind, believes that it has not yet been irrevocably empirically proven that mild physical punishment is detrimental to children's mental health and therefore she will still remain of the conviction (until proven otherwise) that a 'gentle' occasional spanking is harmless to the emotional development of children. However, many current and past parenting experts strongly disagree with her like for instance attachment parenting expert Dr. William Sears, unconditional parenting advocate Alfie Kohn or the late forefather of child-centred parenting Benjamin Spock. So what does parental physical punishment teach children? Indirectly it tells children that it is ok for bigger, more powerful people to hit smaller, less powerful people! In other words, it teaches children to bully and that it is ok! As it indirectly teaches children to bully, it effective restricts the healthy development of empathy and compassion. Because when you hit another person, you have to emotionally distance yourself and sever any empathic bonding. Just like soldiers in war, you dehumanize and objectify the other person in order to be able to do harm. 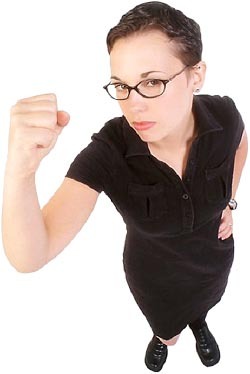 It installs the idea that lashing out is an appropriate and effective tool for solving problems and settling conflicts. It hinders learning how to constructively use emotions rather than just channelling anger, frustration and stress into hitting. It installs the essential belief in a child that "I must be weak, bad or guilty because why else would I be punished!" 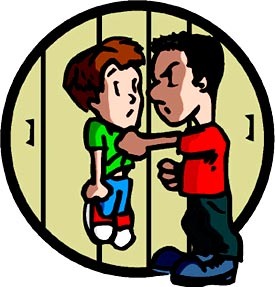 The threat of physical (or emotional) punishment teaches children to avoid misbehaving out of fear rather than behave well because that kind of action actually feels good in itself. Just to put threats into perspective, in some countries or jurisdictions some types of threats (e.g. the threat of violence) are considered actual crimes that are punishable by law. Makes one think, doesn't it! 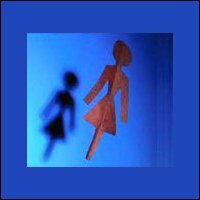 Psychological manipulation takes advantage of desires, fears, and vulnerabilities in the victim in order for the manipulator to get his or her needs fulfilled. 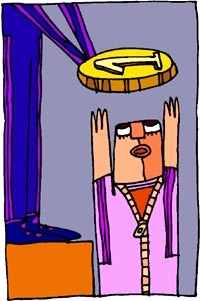 Manipulation may take on many faces such as lying, guilt induction, shaming, feigning but also, positive reinforcement techniques such as using bribes and praise. With the best of intensions many parents use bribes and praise as they truly think that it is in their child's best interest. For instance, at first glance it does seem logical that praise ('Good boy, see how broccoli is nice') raises a child's self esteem as the child reacts with joy when being praised. 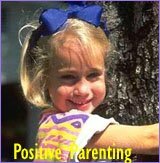 However, the use of praise in positive reinforcement parenting, teaches the child that he or she will get positive attention when he or she does what we want. It teaches our child that the showing of our love is conditional on the child living up to our standards and goals. Praise and rewards may create what Alfie Kohn calls "praise junkies": Children who become dependent on praise because they end up measuring their self worth to the amount of external recognition they receive in terms of praise, admiration and behavioral accomplishments. Sometimes we may also use bribes in what we think is in the best interest of the child. For instance, "If you eat your food, we will go to the playground". Yes, this bribe may make our child eat the healthy food - Hurray, immediate short term goal accomplished! However, long term it teaches children only to do things if there is an external reward rather than appreciating doing something for sake of an internal satisfaction. Or in other words and taken a level higher, it teaches our children to only focus on the end rather than on the process itself! So no matter how we twist and turn it, the primary function of praise and bribes is still to make children do what we want. Therefore praise and bribes are just as valid as examples of controlling behavior like threats and punishments. Why Do Controlling Parents Resort to Power? - Because It's the Easy Way Out! I don't think any of us can honestly say that we never use any type controlling measures with our children. IT'S SOOOOO EASY! You're bigger. You have more 'power' because your child is emotionally dependent on you and will do anything to feel your love! IT'S EFFICIENT! It seems to get things under control relatively fast. IT SEEMS HARMLESS (at least the subtle forms)! A child presented with bribery seems happy with a reward which calms down a parent's potentially bad conscience. However, controlling behavior in whatever shape or form it presents itself in is taking advantage of (yes, actually abusing) a child's basic need for our affection. With controlling behavior (e.g. 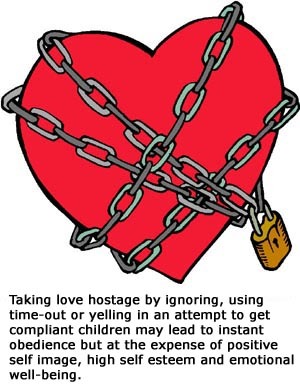 love withdrawal, threats and punishments) we basically take love hostage and use it as a weapon to get what we want. We may create obedient children but through the means of direct force or subtle manipulation which is not only problematic long term but humiliating and degrading in the process! What I mean by habitual control is that the parent has developed a controlling personality. A controlling personality needs to be in control of everything all the time. 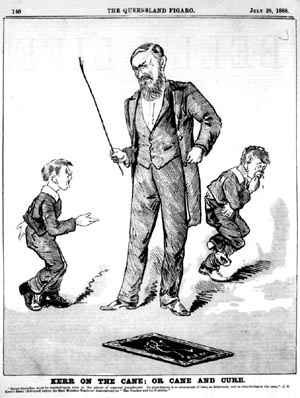 Therefore such a controlling parent tends to constantly dominate their surroundings and control techniques are executed irrelevant of the child's behavior. Philosopher and sociologist Theordor Adorno calls this type of personality an authoritarian personality. When Diana Baumrind conducted her 1960s parenting studies she was inspired by Adorno's theories and labelled one of her parenting styles authoritarian parenting. Authoritarian parents are characterized by Victorian values of emotional suppression, harshness and conservatism. In their insensitive parenting strategies they tend to disregard their children's emotional needs and resort to strict discipline techniques such as threats along with verbal and often also physical punishments. When a parent exercises what I call situational control, control measures are dependent on certain situations. Thus a parent may be generally warm and affectionate but still have very high behavioral demands. In this way control isn't a constant but arise when it considered needed - typically control will be used and increased when children disobey or when it is believed that they should 'learn' to accommodate themselves within an existing framework or according to parental values. In other words, we're talking about conditional control. Is there an alternative to controlling children? Is it at all possible to raise children without control? Yes, I strongly believe there is. The philosophy of unconditional parenting is centred the therapeutic principle of the unconditional positive regard which aims at meeting children with unconditional love, support and full acceptance regardless of how they behave. 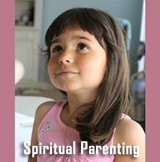 Read more about conscious parenting in this article on unconditional parenting. If you wish to read more about other parenting styles, you're welcome to dive into one of the articles below. 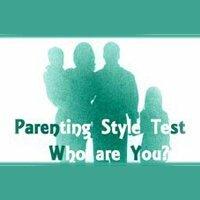 Your Parenting Style: Deep Insights into What Determines Your Parenting Style!